I have so many pictures from this weekend it's going to take me three posts! I'll start with a good one... the desserts. We almost always go back to Ryan's family's farm for home cooking and to shoot off a massive amount of fireworks. The weekend after the 4th I was hosting a baby shower and really wanted to make some new cupcake recipes. So I decided to try them out of the family over the 4th. The cupcakes pictured above are Chocolate & Salted Caramel and you can find the melt in your mouth recipe here. I think this was everybody's favorite and people kept going on and on about them. You will definitely have to try out that recipe! 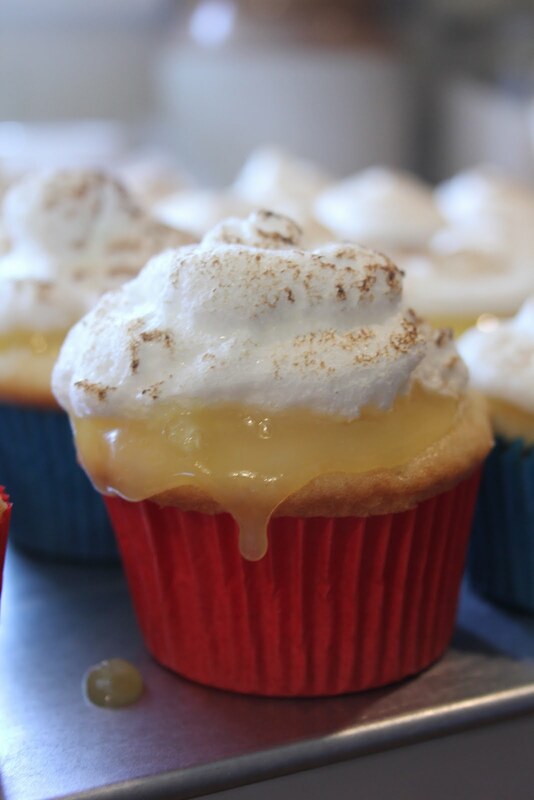 The second cupcake recipe I decided to try out was Lemon Meringue and you can find that recipe here. I also highly recommend this fresh ooy gooy goodness. It is a little more labor intensive though, but worth it for people who love lemon! While I was slaving away in the kitchen I conned my sister-in-law, Sally, to take some pictures of the cousins playing outside. Ryan's cousin, Lindsey, and her son Noah playing on the dock. Annie was exited to have someone to play with her. Another great action shot by Sally. This time of the year there are always hundreds of baby frogs everywhere! Aren't they cute?? 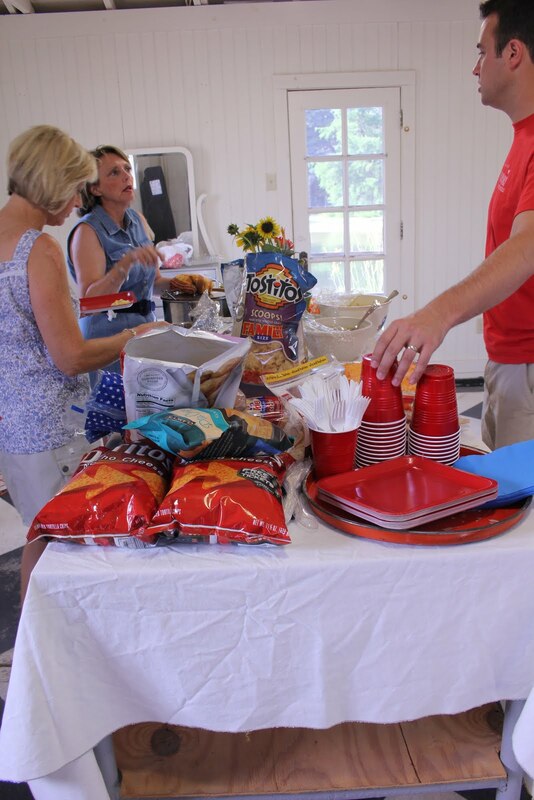 We used Susan's old studio space to provide a spot to serve and eat the delicious meal everybody contributed to. Those cupcakes look like they came from a bakery - nice job lady!! You always have the best recipes and now I have to add the ingredients to my grocery list so I can try them out too. I bet my frosting won't look as good as yours - how do you put it on? Please come visit me and bring those cupcakes mmkay? ;) In exchange for the cupcakes I'll make you pesto and can some goodie for you. That tiny frog is so cute!! I am dying over those cupcakes.... I really want to try and make the salted caramel ones. Yummmmm! Fantastic photos Lindsey! And, those cupcakes...wow! They look so professional & tasty!